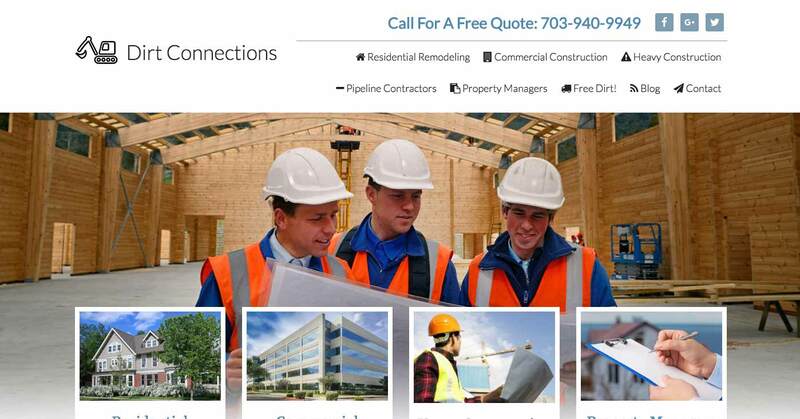 Beyond Exteriors is a locally owned and operated roofing business situated in Chantilly, Virginia. While serving customers from the greater DC Metropolitan area, Beyond Exteriors has created a reputation for their exceptional home improvement services. 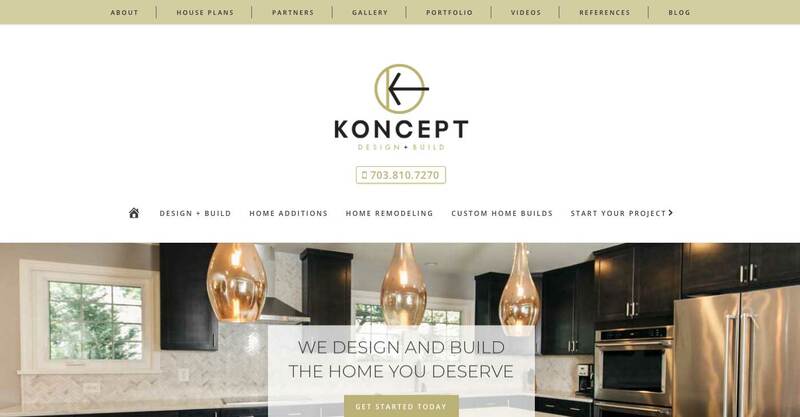 The company was founded in response to a lack of customer prioritization within the construction industry, and now makes it their mission to foster personal relationships with their customers by providing realistic estimates and follow-up consultations after a project is complete. The primary goal of Beyond Exteriors' custom digital marketing campaign was to increase their qualified lead generation throughout all four seasons of the year. Beyond Exteriors declared that they wanted to rank for specific roofing and siding keywords across multiple cities in Northern Virginia. They requested increased visibility for each of their six primary services, but stressed most of their importance on roofing, since it is the forte of the company. We conducted extensive link-building projects to create backlinks for Beyond Exteriors to rank locally in search engines. 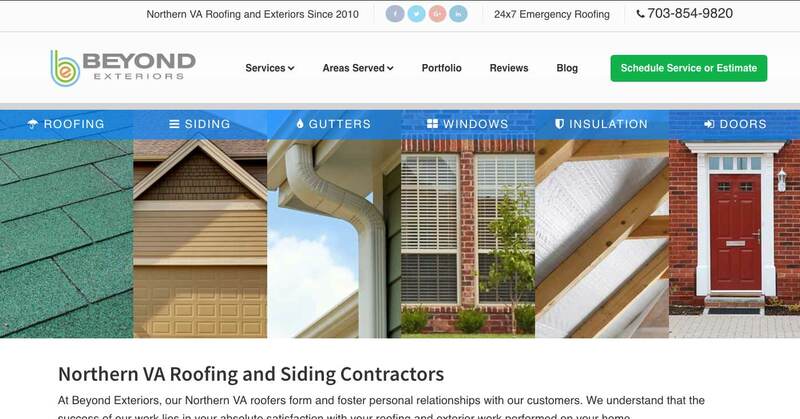 After establishing domain authority for their website, we began creating informational content regarding roofing, siding, insulation, and gutters with a heavy focus on the roofing aspect of the company. 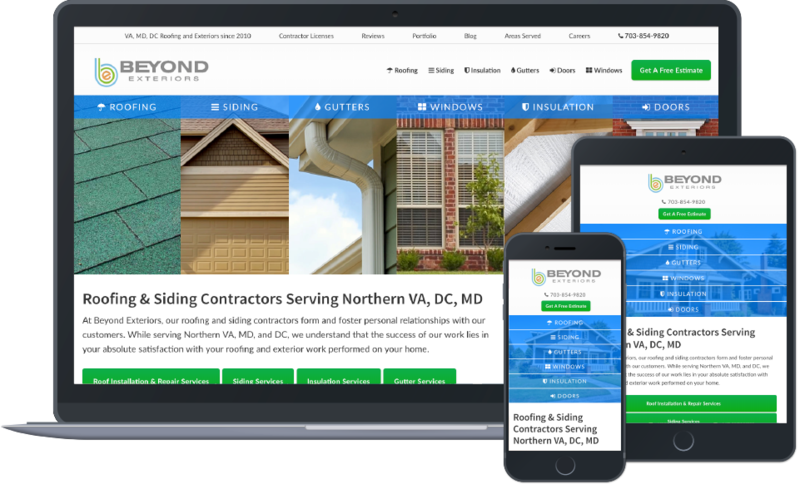 We developed geolocation pages for each of their six services so that Beyond Exteriors could increase their visibility throughout Virginia and some of Maryland. We continue to publish relevant content on their website as they continue to receive qualified leads during all months of the year.